The Braun Family can trace their roots in Alsace back to 1523, and have been making wine in the village of Orschwihr since 1902. 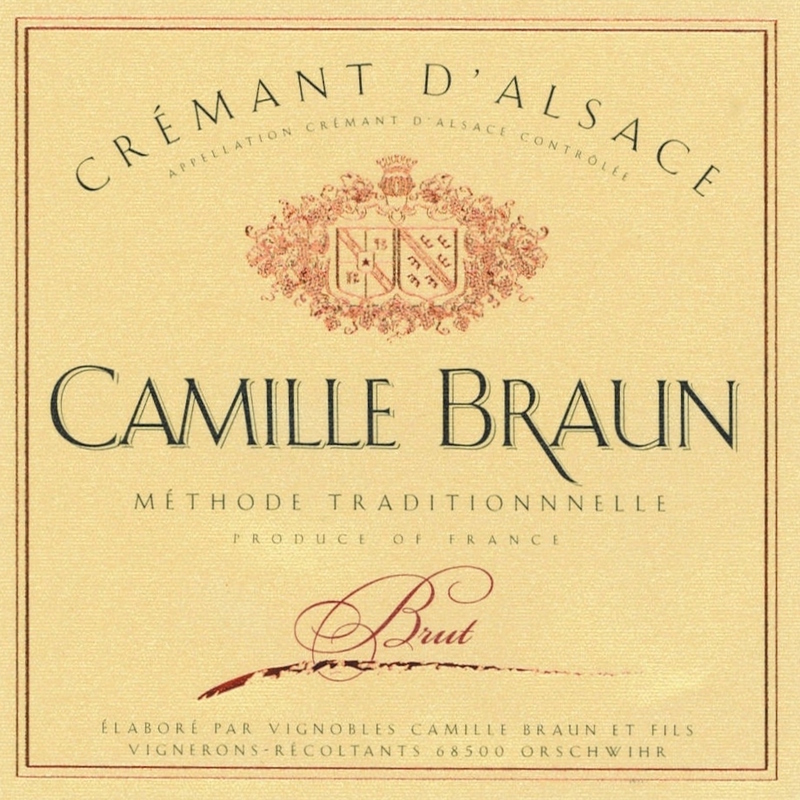 Today the Domaine Camille Braun consists of 13 hectares of vines in or near Orschwihr, including the Grand Cru site “Pfingstberg,” documented since 1299, and single sites Bollenberg, Lippelsberg, Effenberg and Meissenberg. Under the watchful care of Christophe and Chantal Braun, the farming has been organic for the past 15 years and has been biodynamic since 2005. Production is just over 8,000 cases. The result of this labor has been numerous awards, including the Prize for Excellence at the Concours National in 2000, awarded for the consistent quality of all their wines, and in 2006 the Gold Medal at the Concours National des Crémants for their Crémant d’Alsace Brut.